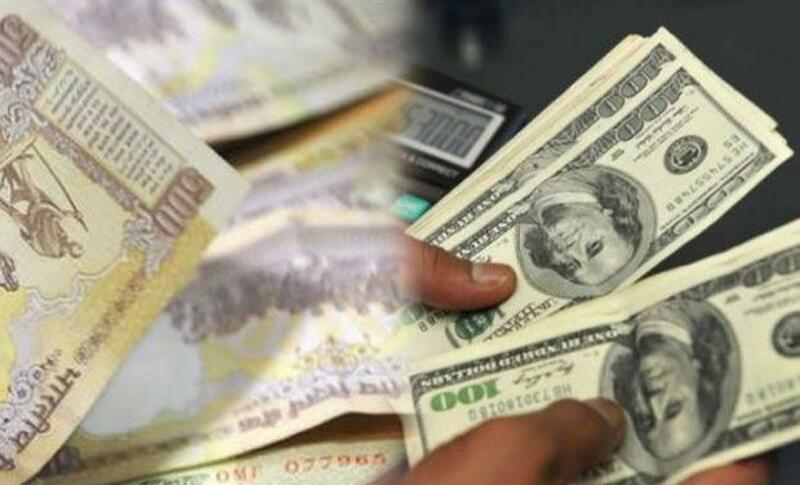 The Indian rupee continued to decline against the American currency for the fifth consecutive week by slipping another 34 paise to close at 66.10 per dollar on persistent dollar demand from banks and importers amid sustained foreign capital outflows coupled with higher dollar overseas. Disappointing IIP numbers and rising retail inflation affected the rupee value against the dollar. Foreign portfolio investors (FPIs) continued their selling pressure as they pumped out USD 213.89 million during the week as per the SEBI data. The domestic currency resumed lower at 66.41 as against the last weekend's level of 65.76 per dollar at the Interbank Foreign Exchange (Forex) Market and dropped further to 66.50 per dollar on good dollar demand from banks. However, it recovered afterwards to 66.09 per dollar on fag-end selling of dollars from some banks before finishing the week at 66.10 per dollar, still showing a loss of 34 paise or 0.52 per cent. It has dropped by 136 paise or 2.10 per cent in five weeks. Meanwhile, the country's industrial production slackened to a four-month low of 3.6 per cent while retail inflation inched up to 5 per cent as per the government data. Meanwhile, the Indian equities joined the global stock market rout following a renewed commodity-led sell-off raised concerns about China's ability to drive global growth and also reassuring comments from the slew of Fed-members that a December lift-off can be considered.